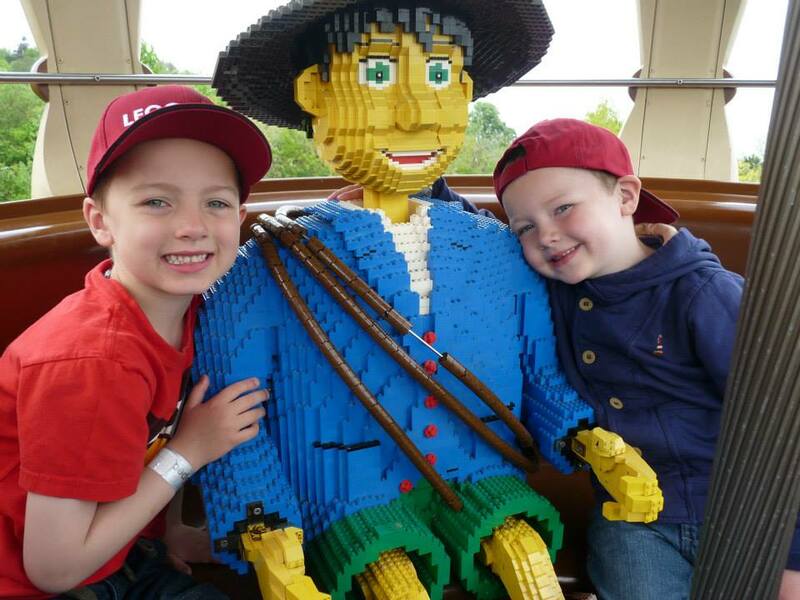 I didn’t really know what to expect when it came to LEGOLAND but I have been seven times now and am quite impressed as I have managed almost every ride there – when they added Mia’s Riding Adventure in 2015 I wimped out! I didn’t like the thought of all that spinning. I guess the reason I fit in so well here is it’s tailored for younger children (up to about 10/11) so nothing too thrill-seeking thankfully. Here is the wife and youngest. We had a Merlin pass one year but didn’t visit more regularly because it’s a 5-hour drive to LEGOLAND for us. But hopefully we will visit again this year as a new attraction is opening, Ninjago Land with a 4D interactive ride. 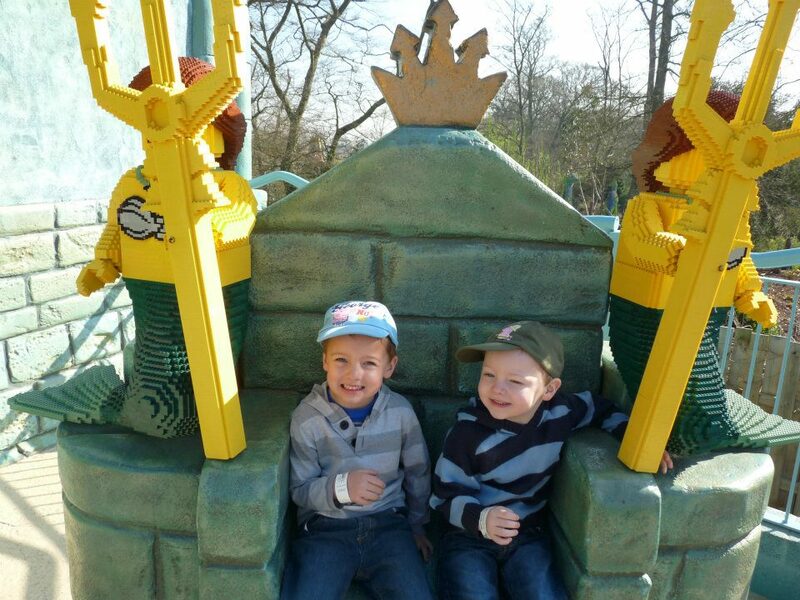 Some of our friends consider their children to have outgrown LEGOLAND but I think our two have another couple of years enjoyment left. 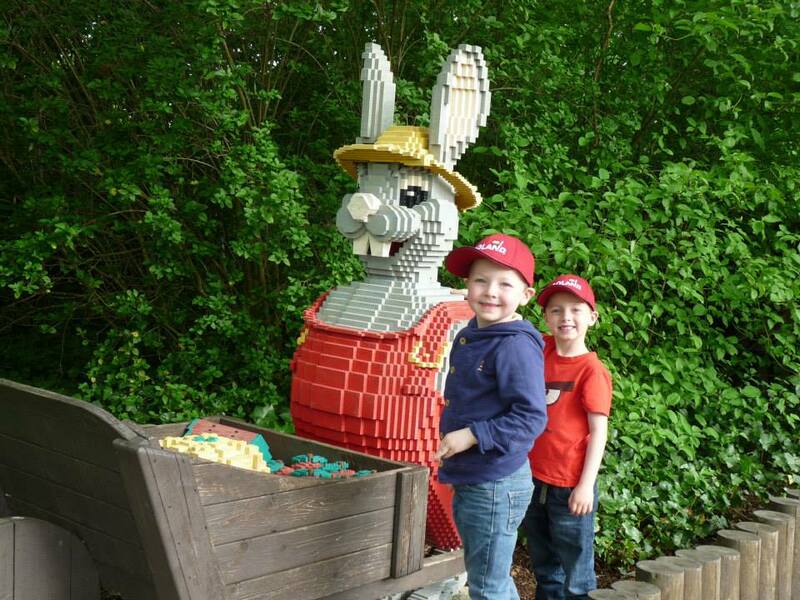 Youngest was three when we first visited and eldest was nine on the last visit so you see it has a wide appeal! Although if you want bigger/scarier rides then you would probably be better off with Alton Towers or Thorpe Park – I generally am the official coat/bag holder there. 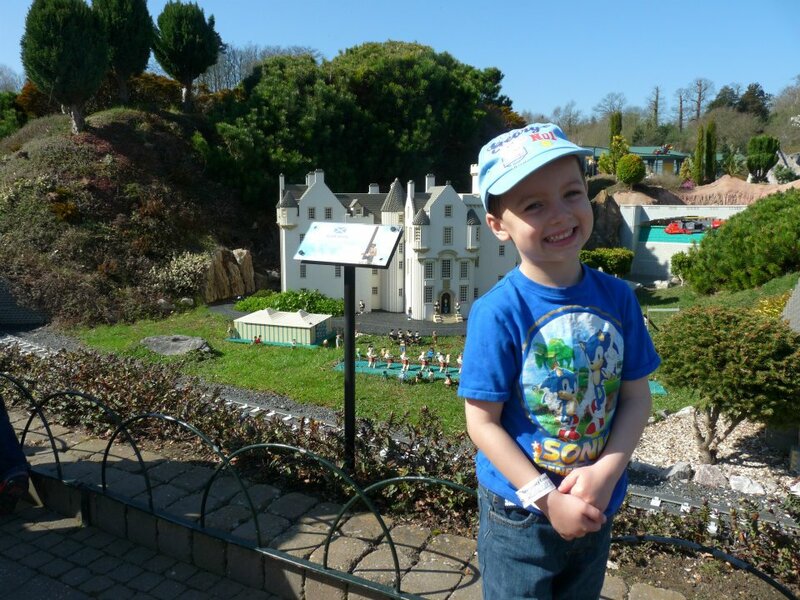 We have stayed in the LEGOLAND Hotel during one of our visits, it was expensive but worth it as a one off as it’s a novel experience. It was convenient having somewhere close to rest after a busy day at the resort and it was useful having a slightly earlier entrance into the park when we woke up the following day. The boys liked finding a hidden toy in the room and the room looked fabulous with the pirate theme. Also look out for the LEGO shaped chips at the restaurant! 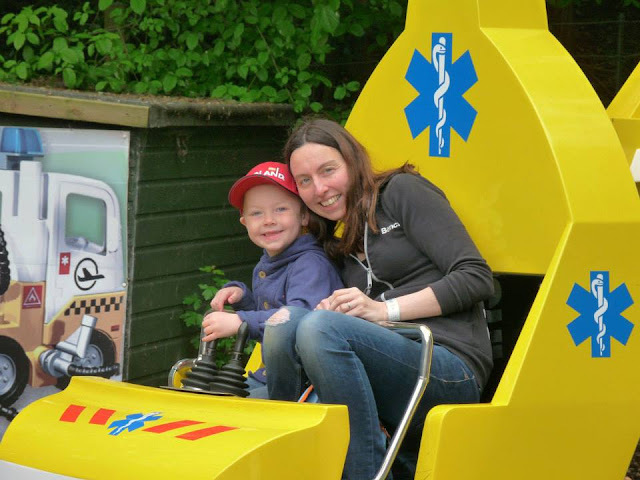 My favourite ride is the Laser Raiders because I get a bit competitive – this shooting ride always sees me getting the highest score and my wife and the boys always want to beat me but haven’t managed it yet! All that time spent playing Medal of Honour obviously had a purpose. Take lots of snacks – so you can keep your children happy in queues, hopefully avoid the lengthy wait for food at peak times (by eating your meal later) and just keep focused on cramming in as many rides as possible without stopping regularly because your children are hungry (for the millionth time!). Arrive as soon as the park opens, even then don’t expect to do everything LEGOLAND is vast. One visit we walked 10 miles… you will leave aching, tired and possibly grumpy but remember it’s all about the memories (or so the wife keeps telling me!). The rides can have lengthy queues, plan ahead of your visit – if you have a particular ride your really want to do perhaps head there first. But ideally get one of the busy ones out of the way, for example Coastguard HQ had a 70-minute queue when we visited at Easter! Some of the rides might be quieter at the end of the day so try and hang on to squeeze more value out of your entrance price and make a full day of it. Break up the queuing to make the day more exciting, watch the Pirates of Skeleton Bay Stunt Show, enjoy the 4D movie to rest your weary legs or have a look round Miniland. If the weather is good don’t forget your trunks for Drench Towers or Splash Safari. We keep accommodation costs cheap now and stay at the Welcome Break Fleet Services with the code “breakaway” we only ever pay about £54 for two nights and its only about a thirty minute drive away from LEGOLAND. Although it’s nowhere near in the same league as the LEGOLAND Hotel it fits our budget so it has to do. Breakfast isn’t included so we take some bits with us (cereal bars and pain au chocolat).